Cachet adjusts to the way you sit. Its innovative materials and "balanced action rocker" mechanism evenly distribute your weight in response to your movements. The result is non-stop comfort. The Cachet chair provides the perfect blend of comfort, ergonomics, durability and versatility. Its unique balanced-action suspension system automatically adjusts to provide you with proper support. Its composite edges and flexible slotted surfaces absorb and evenly distribute your body weight, providing instant comfort every time you sit. The Cachet chair is available in a work chair with casters, a stool with casters and a 4-leg multi-use stack chair available with or without arms. The work chair and stool are height adjustable and ideal for learning environments, laboratory environments, team spaces and short term work spaces. 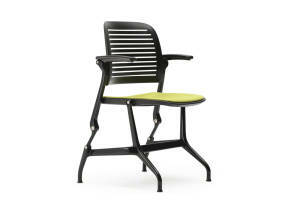 The multi-use chairs are a perfect fit for learning environments, cafes and multi-purpose areas. 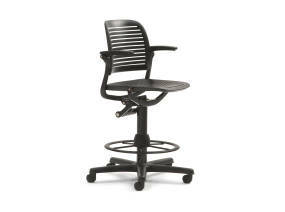 Lightweight and easy to move, the multi-purpose chairs can be stacked five high on the floor or 20 high on a dolly. 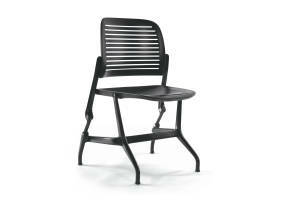 The Cachet chair is exceptionally durable and easy to clean, for a longer life. The glass-filled nylon frame and polypropylene construction allow for easy disassembly and the chair is up to 98% recyclable by weight. 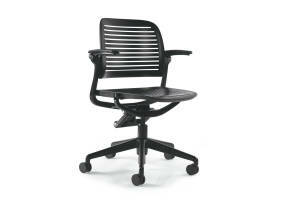 The chair also has Indoor Advantage certification for indoor air quality. 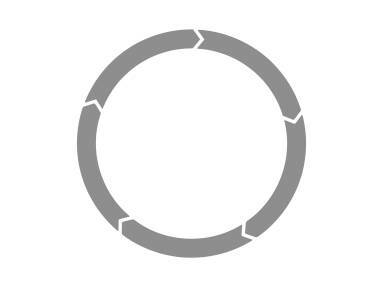 Glass-filled nylon frame and polypropylene construction allow for easy disassembly. The lightweight 4-leg version (weighing only 11 pounds) stacks five high on the floor or 20 high on a dolly. Perfect for healthcare and research applications where comfort and cleanability are key. Adjusts pneumatically to a comfortable height for each user. Change the look of your Cachet chair with snap-on seat and back cushions. Available in a wide choice of Steelcase and Designtex fabrics or your own materials. Change snap-on cushions easily, there’s no need for tools. 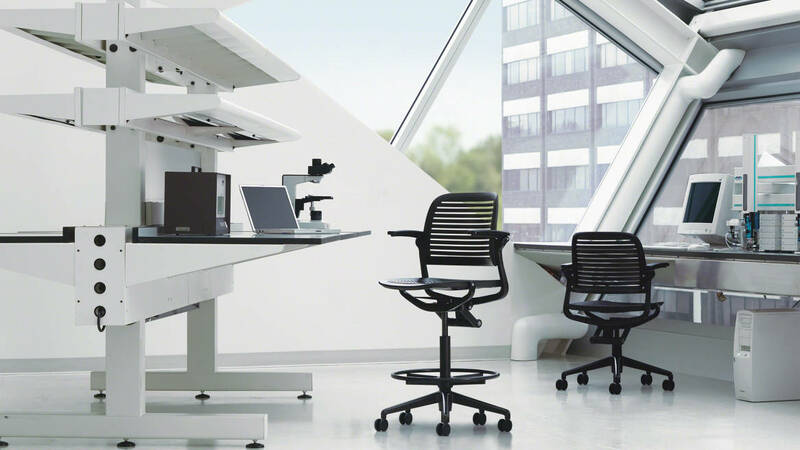 Steelcase is a proud E&I Cooperative Services partner. E&I is the member‐owned, not‐for‐profit sourcing cooperative delivering expertise, solutions and services to higher education and related institutions. E&I provides members with access to a diverse portfolio of competitively awarded contracts, electronic procurement platforms, and consulting services to help them source effectively. By leveraging the knowledge and expertise of more than 3,000 member institutions, E&I helps members reduce costs and optimize supply chain efficiencies. The Cooperative’s member‐driven competitive solicitation process meets generally accepted procurement standards.